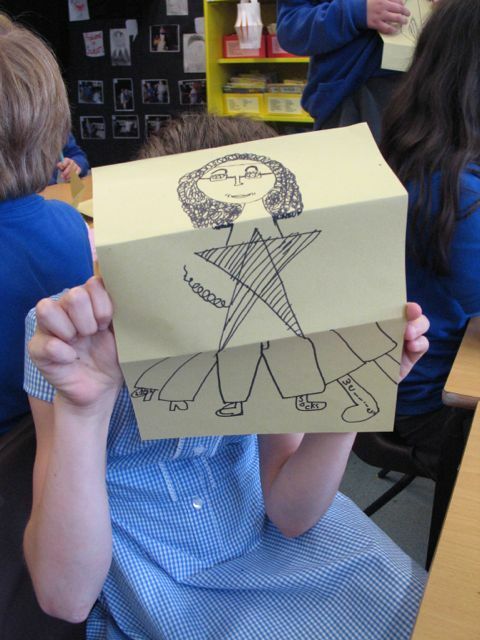 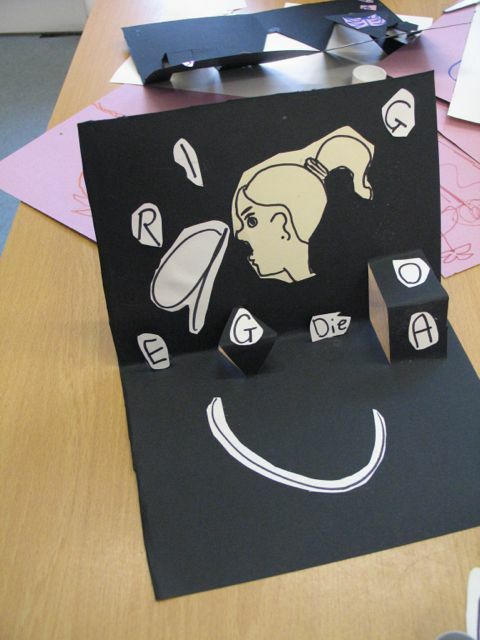 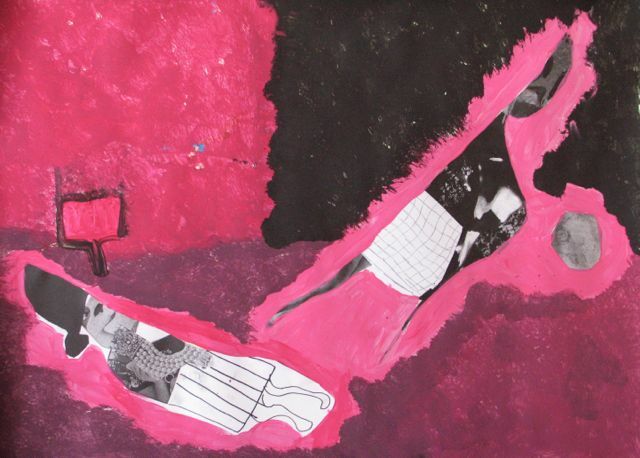 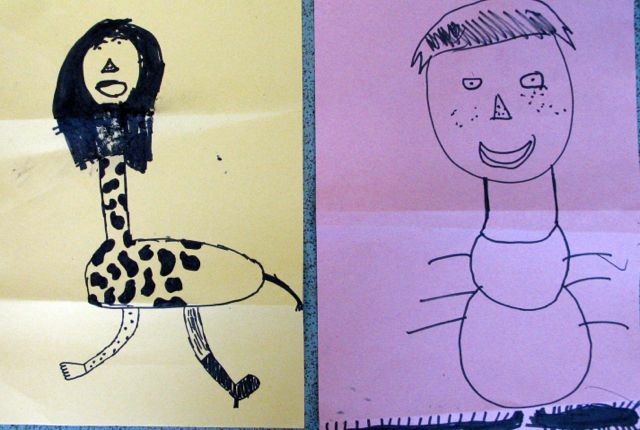 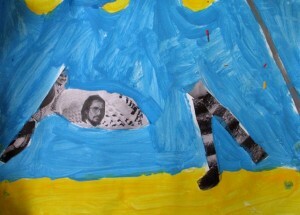 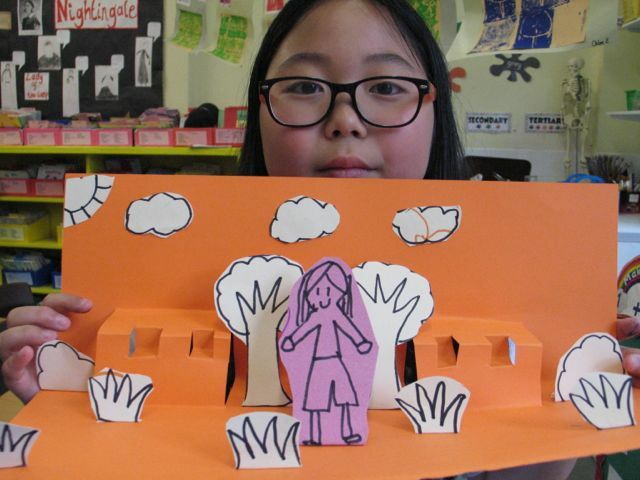 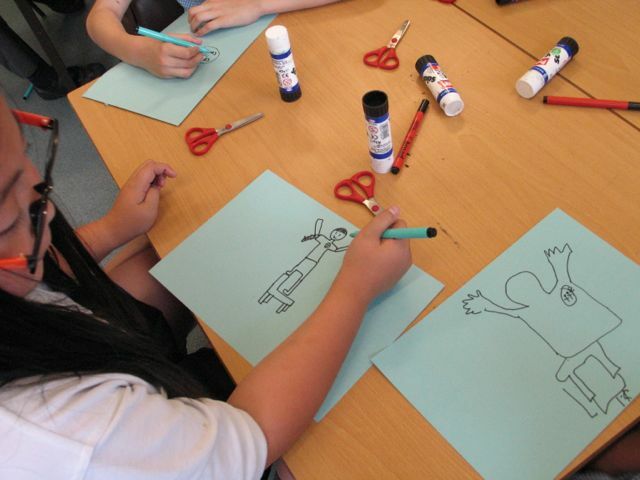 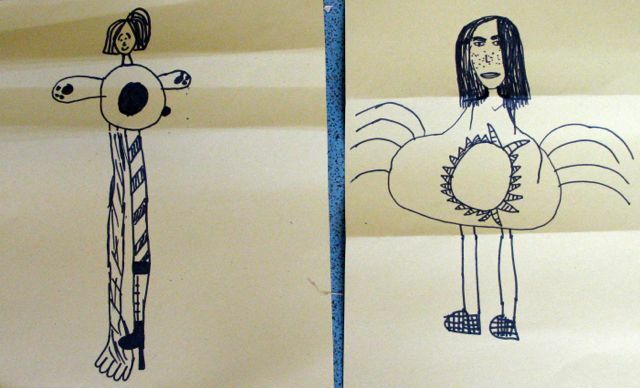 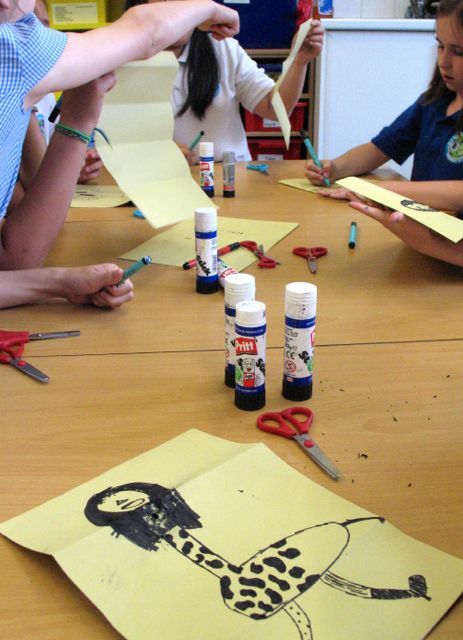 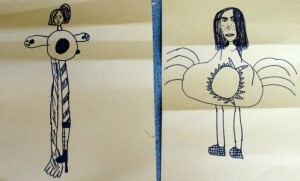 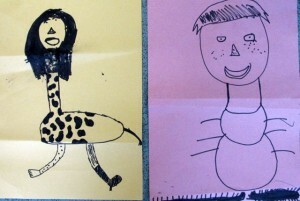 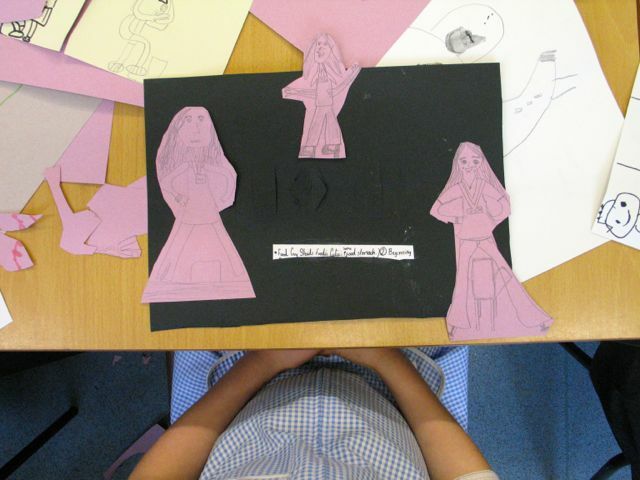 Last week artist Ania Bas and the children at Dundonald Art Club continued to experiment with the development of characters by playing the traditional drawing game Exquisite Corpse developed by the surrealists. 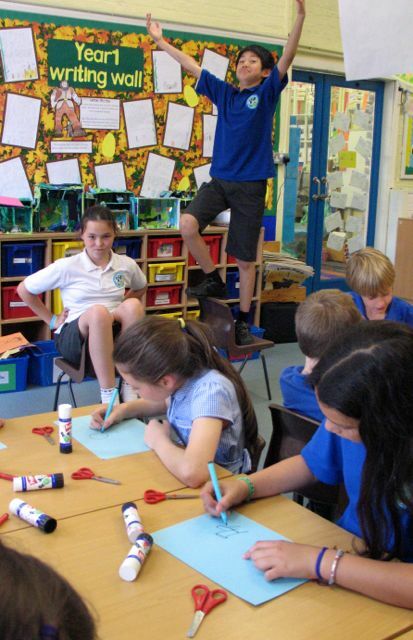 We then continued with our weekly life drawing exercises- our poses are getting more elaborate! 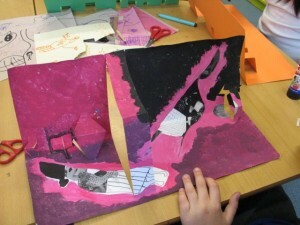 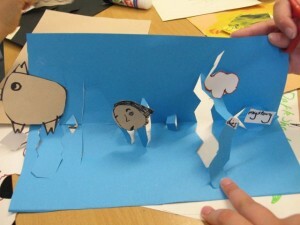 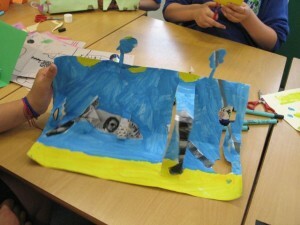 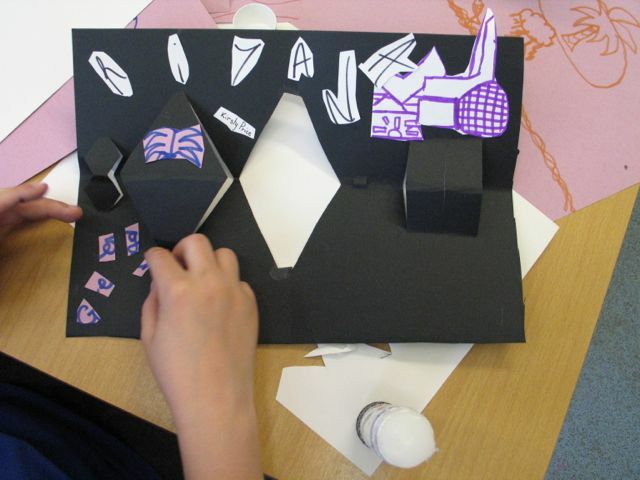 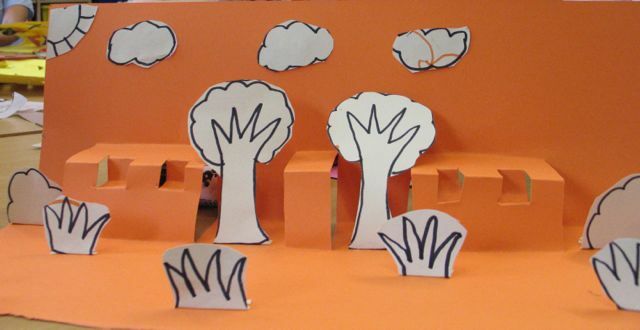 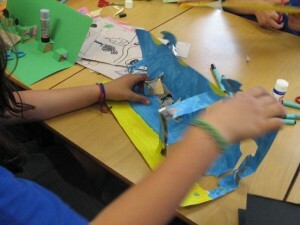 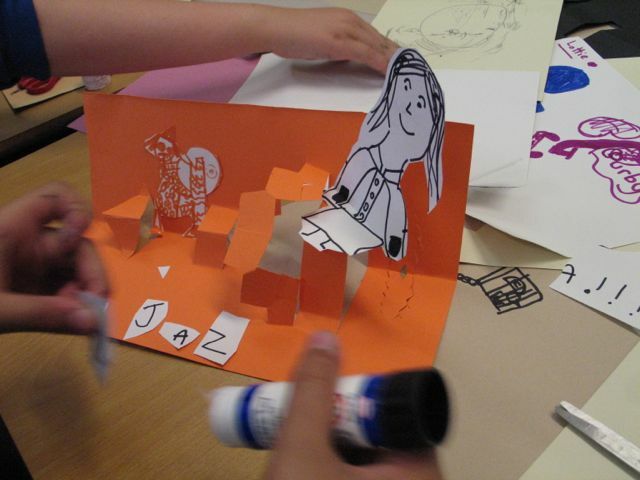 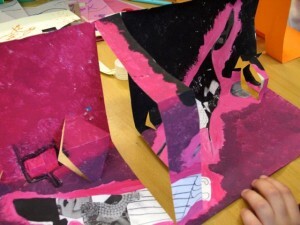 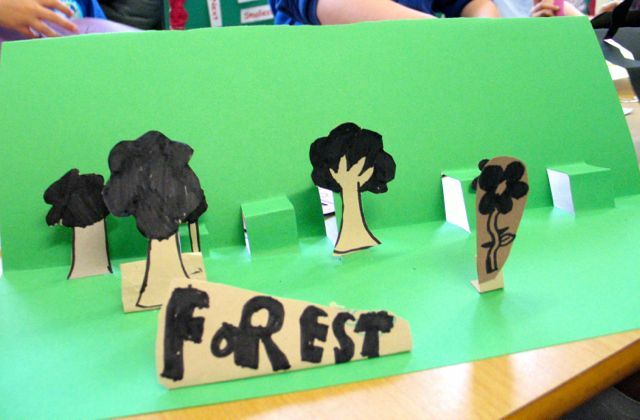 We used paintings and drawings from the last session as a starting points for 3D pop up works. We first experimented on a smaller scale with just plain card. We then went wild and converted last weeks paintings into 3D environments where our characters could interact.